CaMg+® is the ideal supplement to provide a natural source of Calcium and Magnesium, critical elements in a plant’s growth cycle. CaMg+® is biologically catalyzed from oyster shell, dolomite lime and natural plant extracts. 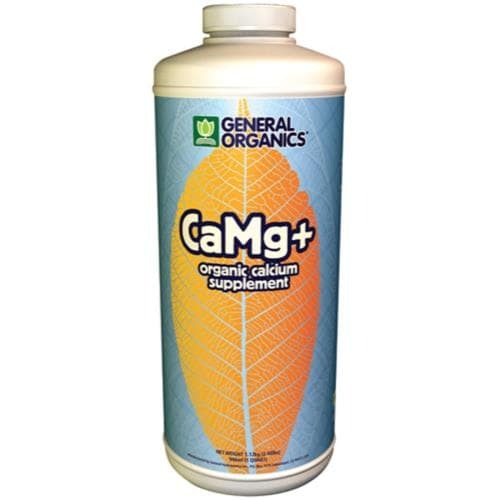 Through the use of organic compounds, CaMg+® increases calcium and magnesium transport into the plants. This optimizes plant metabolism, enhancing growth and creating healthier flowers and fruits. Calcium and magnesium are essential for plants, but they must be delivered in the correct ratio to spur growth. CaMg+ provides the appropriate amount of these necessary nutrients in order to optimize plant nutrition, encourage growth and produce robust flowers and fruits. 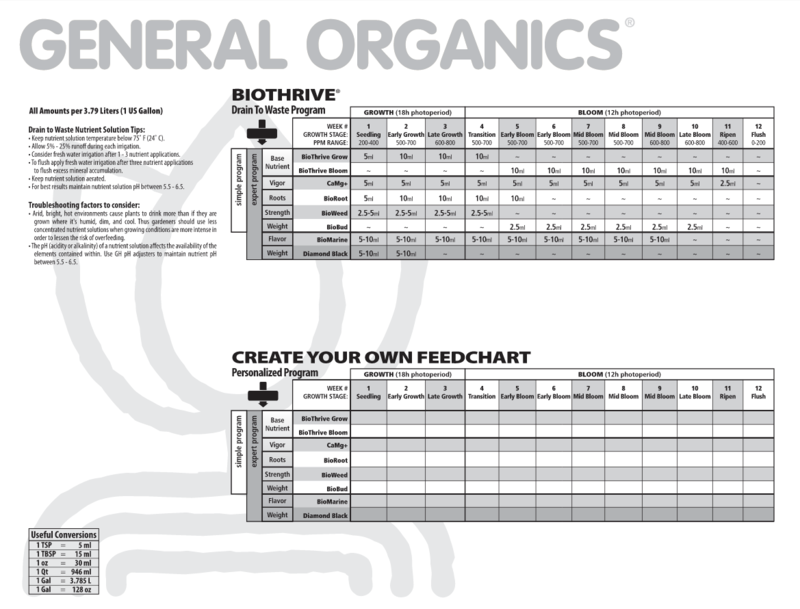 CaMg+ is part of the foundation of the General Organics line, along with vegan plant food formulas BioThrive Grow and BioThrive Bloom. When used together, these form the building blocks of a successful garden, from early stages through growth and into harvest. It’s important to use CaMg+ in addition to BioThrive in growing environments involving coco coir, RO water or soilless media, since these often don’t contain calcium. By adding these minerals, your plants will get the nutrients they require for more vigorous growth.